Pursuing a college degree often comes with a variety of challenges that place additional strains on a student’s everyday life, and financial assistance is one of the biggest obstacles and distractions that must be addressed. The financial challenges associated with college tuition and expenses can certainly be among the most uncomfortable stresses when coupled with a student course load and other requirements. Bursting With Promise is dedicated to offering deserving students entering the Morgan State University freshman class with a better chance to succeed by providing financial assistance for students in Bowie, MD. If you are a student committed to your education and positively impacting your community, please consider applying for our fall semester program, the “I'm A Winner Scholarship”. To apply, see the details for scholarships provided on the scholarships page, or contact us today for more information! Bursting With Promise, Inc. is a non-profit organization committed to providing financial assistance annually to one or more qualifying and deserving students entering the Morgan State University (MSU) freshman class, and to offer other community assistance through worthwhile uplift projects that benefit the local Prince George’s County Maryland schools and communities. The founding of Bursting With Promise was born of an unfortunate tragedy that occurred in 2015 when a most-promising MSU student, Adedire Ososanya, was struck and killed by a drunk driver while Adedire was heading home to family during the MSU winter break. My own daughter, an MSU freshman at that time, shared this tragic news with me. I was inspired and committed to doing even more in my own community assistance endeavors as I began to learn more about Adedire and his goals as an MSU student and his tenacity to excel and positively impact his community. The idea for an annual scholarship fund was born in the spring of 2016. In the fall of 2016, Bursting With Promise was blessed to present its very first scholarship award of $1,000 to an exceptional high school senior who entered MSU as a freshman student. In the fall of 2017, we were again blessed to present a scholarship award of $1,000. Our goal is to honor the memory of Adedire Ososanya by awarding one to six scholarships annually, each ranging from $1,000 to $2,000. 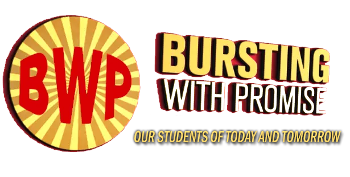 Bursting With Promise’s commitment and pledge is to continue to help deserving students to further their scholastic endeavors by offering them financial assistance. We graciously thank all who would like to offer support – financial donations or school supplies – to further our efforts at providing some small blessing to each and every student we can impact with your generosity. **Bursting With Promise, Inc. is an IRS-approved 501(c)(3) nonprofit organizations and your donations may be tax deductible subject to applicable IRS rules. Achieve Their Goals For A Brighter Future!